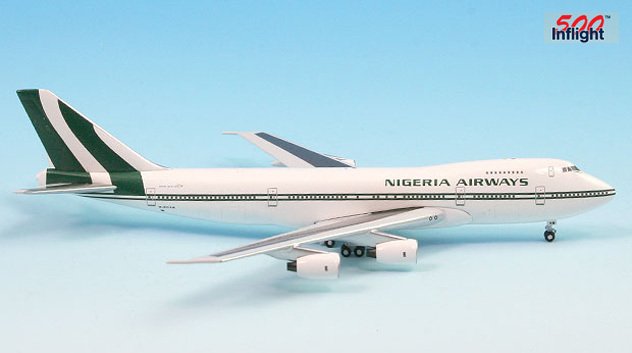 IN-FLIGHT 500 Models: one limited edition, collectible die cast airliner model in 1/500 scale. 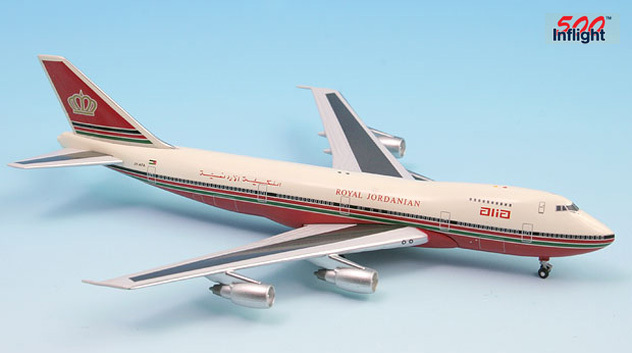 All construction is made of metal with some plastic parts, of an Boeing B747-2D3B in the Alia Royal Jordanian Airlines Old Colors. Airframe Registration, JY-AFA. This model is available as of May, 2007. IN-FLIGHT 500 Models: one limited edition, collectible die cast airliner model in 1/500 scale. All construction is made of metal with some plastic parts, of an Boeing B767-3Z9/ER in the Austrian Airlines Current Colors. Airframe Registration, OE-LAW. This model is available as of May, 2006. IN-FLIGHT 500 Models: one limited edition, collectible die cast airliner model in 1/500 scale. All construction is made of metal with some plastic parts, of an Boeing B767-304/ER in the Britannia Aiways Last Colors. Airframe Registration, G-OBYB. This model is available as of May, 2007. 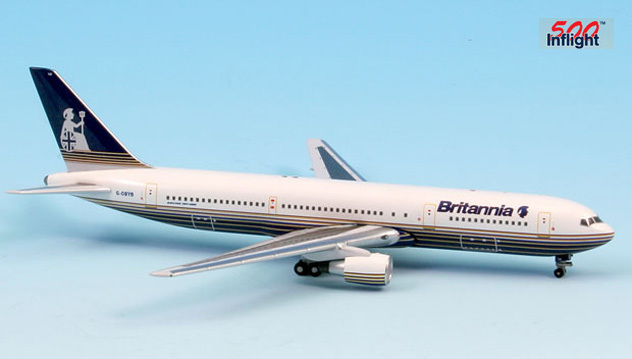 SM Models: one limited edition, collectible die cast airliner model in 1/500 scale of an Boeing B757-236 in the British Airways Old Red Tail Colors. With titles British. Airframe Registration G-CPET. The model is constructed of die-cast metal with some plastic parts. This product was released in January, 2011. IN-FLIGHT 500 Models: one limited edition, collectible die cast airliner model in 1/500 scale. All construction is made of metal with some plastic parts, of an Lockheed L-1011-500 in the Court Line Airlines Old Colors. Airframe Registration G-BAAA. With titles ?Halcyon Dawn Yellow?. This model is available as of April, 2008. 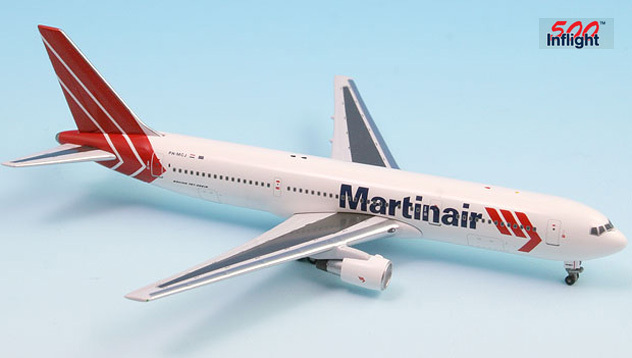 SM Models: one limited edition, collectible die cast airliner model in 1/500 scale of an Boeing B777-232/LR in the Delta Airlines Current Colors. Airframe Registration N701DN. The model is constructed of die-cast metal with some plastic parts. This product was released in December, 2010. SM Models: one limited edition, collectible die cast airliner model in 1/500 scale of an Boeing B777-232/LR in the Delta Airlines Current Colors. IN-FLIGHT 500 Models: one limited edition, collectible die cast airliner model in 1/500 scale. All construction is made of metal with some plastic parts, of an Boeing B747-270/SCD in the Iraqi Airways Old Colors. Airframe Registration, YI-AGN. This model is available as of February, 2006. 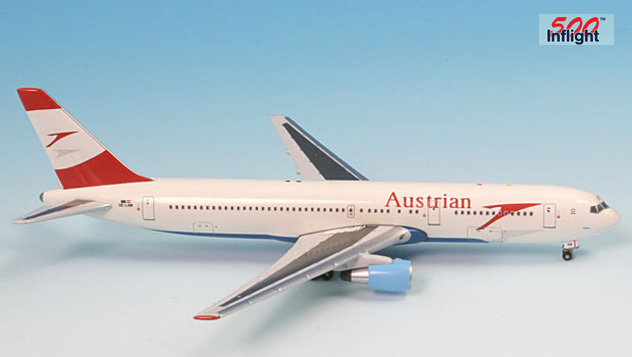 IN-FLIGHT 500 Models: one limited edition, collectible die cast airliner model in 1/500 scale. 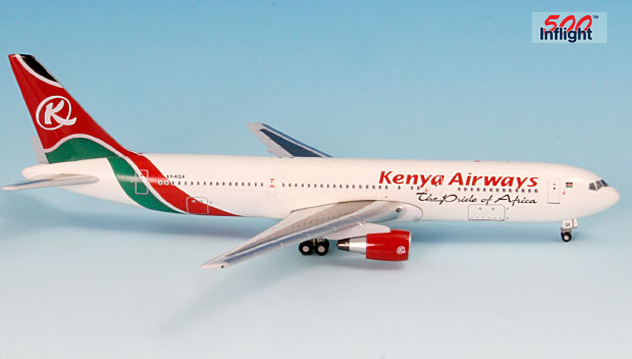 All construction is made of metal with some plastic parts, of an Boeing B767-36N/ER in the Kenya Airways Old Colors. Airframe Registration, 5Y-KOX. This model is available as of June, 2006. IN-FLIGHT 500 Models: one limited edition, collectible die cast airliner model in 1/500 scale. 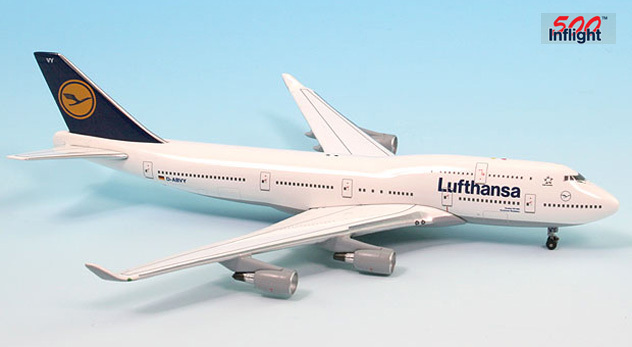 All construction is made of metal with some plastic parts, of an Boeing B747-430 in the Lufthansa Airlines Current Colors. And Special "Football Nose" finish. With titles ?Berlin?. Airframe Registration, D-ABVA. This model is available as of September, 2007. IN-FLIGHT 500 Models: one limited edition, collectible die cast airliner model in 1/500 scale. All construction is made of metal with some plastic parts, of an Boeing B747-430 in the Lufthansa Airlines Current Colors. Airframe Registration, D-ABVY. With titles ?Nordrhein Westfalen?. This model is available as of September, 2007. 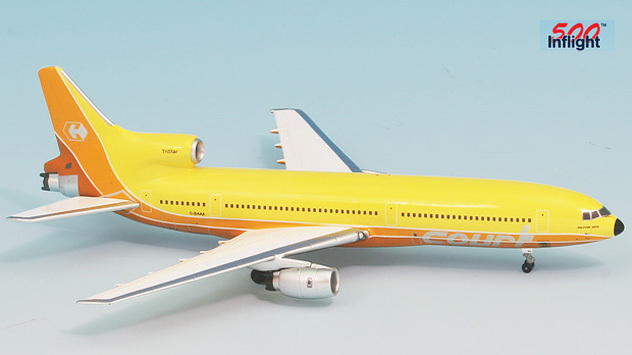 IN-FLIGHT 500 Models: one limited edition, collectible die cast airliner model in 1/500 scale. All construction is made of metal with some plastic parts, of an Boeing B767-31A/ER in the Martin Air Holland Old Colors. Airframe Registration, PH-MCJ. This model is available as of August, 2007. 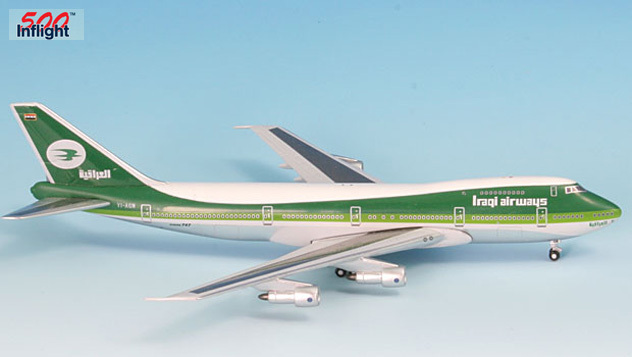 IN-FLIGHT 500 Models: one limited edition, collectible die cast airliner model in 1/500 scale. All construction is made of metal with some plastic parts, of an Boeing B747-2B4/BM in the MEA - Middle East Airlines Old ?Billboard? Colors. Airframe Registration N204AE. This model is available as of April, 2007. IN-FLIGHT 500 Models: one limited edition, collectible die cast airliner model in 1/500 scale. All construction is made of metal with some plastic parts, of an Boeing B747-282B in the TAP ? 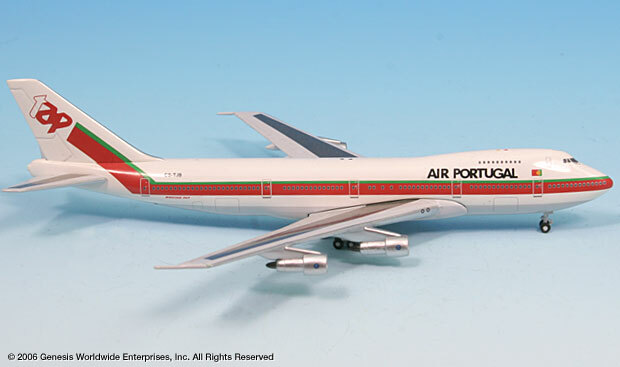 Air Portugal Airlines Old Colors. Airframe Registration, CS-TJB. This model is available as of June, 2004. SM Models: one limited edition, collectible die cast airliner model in 1/500 scale of an Boeing B777-FZB in the THAI Cargo Airlines Current Colors. Airframe Registration N774SA. The model is constructed of die-cast metal with some plastic parts. This product was released in January, 2011. SM Models: one limited edition, collectible die cast airliner model in 1/500 scale of an Boeing B777-FZB in the THAI Cargo Airlines Current Colors.